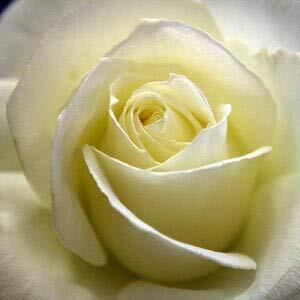 With literally 1000s of varieties of hybrid tea roses they are the most popular rose bush available. 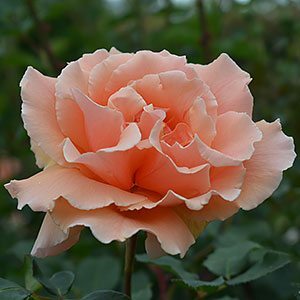 Also known as ‘Modern Large Roses’ they have large flowers, come in a huge range of colours and popular varieties include ‘Double Delight’ , ‘Elina’, Queen Elizabeth’ the famous ‘Peace Rose’ and ‘Just Joey’. These Roses are available as Bush Roses or Standard Roses. Hybrid Tea rose pictures and care along with links to Hybrid Tea rose suppliers in Melbourne, Sydney, Brisbane, Adelaide, Perth, Hobart, and Canberra. These roses are a cross between Hybrid Perpetual Roses, and Tea Roses. The original crosses were made to obtain the ‘best of both types of roses’. Bred for fantastic flowers and hardiness Hybrid Tea roses are the roses of commerce, used widely foe commercial cut flowers. What to look for in a Hybrid Tea Rose. A good root system is essential as with any other rose, but avoid pot bound roses. Look for an open vase like shape that will allow air flow and provide a sound structure for pruning. Strong leaders that will form a basis for the structure of the plant. Disease and pest free. Look for named varieties that you can reference to find particular characteristics. Also consider fragrance, some are very fragrant others have little to no fragrance at all, yet still with very attractive flowers. Prepare the soil with some well rotted manure or compost, dig a hole larger than the pot, plant the rose, back fiil and water in well. Hybrid Tea Roses like all roses look for a position in full sun and a humus rich well drained soil. Easily pruned with secateurs and the ‘vase shape’ style of pruning is most popular. See winter pruning of roses. Consider installing a drip irrigation system when planting hybrid teas roses, this can be installed beneath mulch and makes watering more efficient and easier. Make sure the site is well drained, they like to be moist, but do not like to have root systems standing in water. They will benefit from fertiliser applied during spring as do all roses. Mulch to prevent moisture loss, most plants prefer a cool root run. Hybrid Tea Roses roses are well suited to growing or in pots or containers.